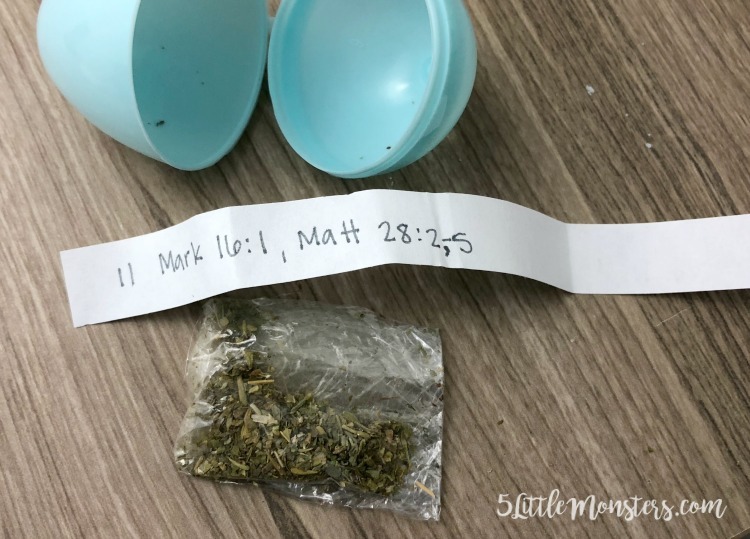 I was waiting to post it until I could make it prettier, I wanted to print off a nice paper with all of the scriptures and put little vinyl letters on the eggs instead of writing them on with a sharpie. 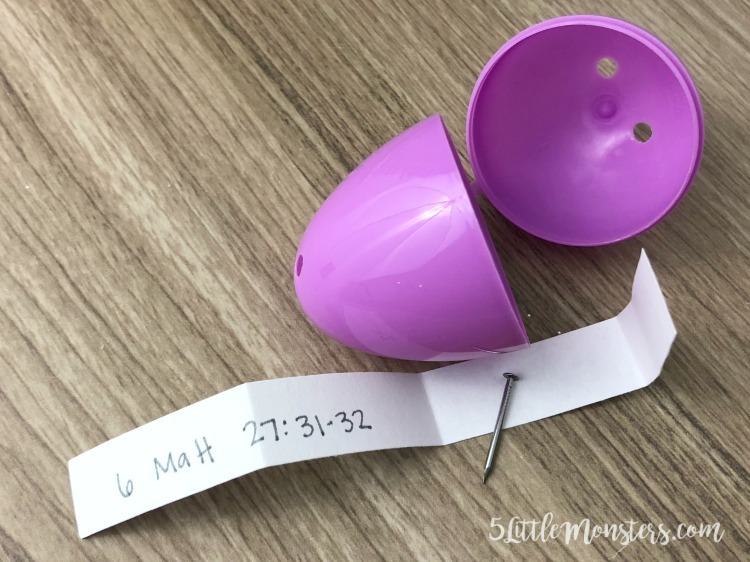 It ended up being one of those times that nothing went smoothly. 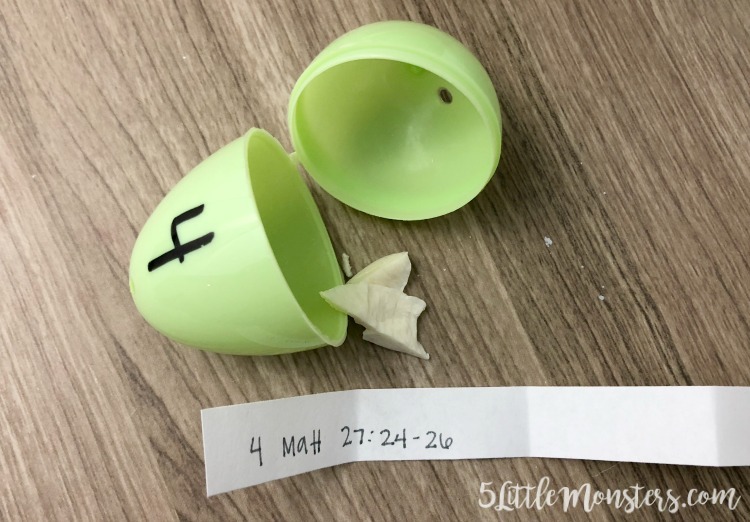 My printer kept jamming and wouldn't work. 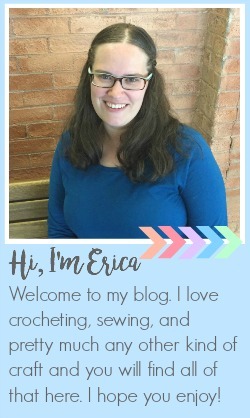 My computer decided it didn't want to connect to my Cricut. 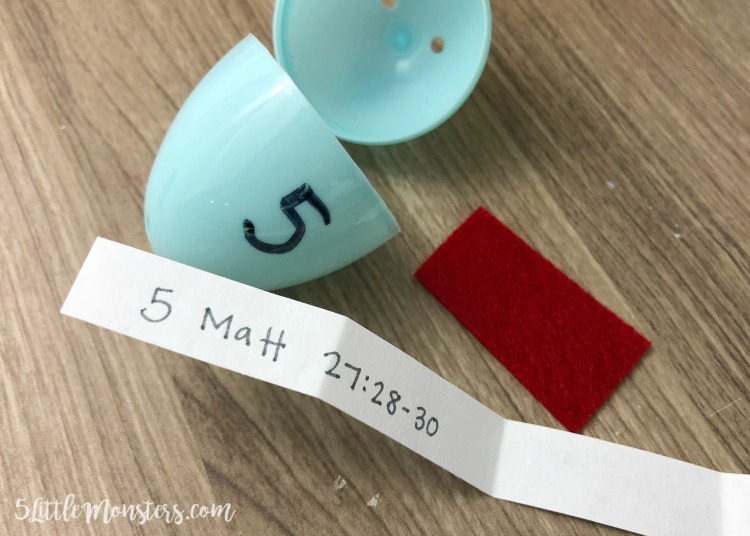 I was getting really frustrated with things not working the way I had planned when I stopped and realized that it didn't really matter. 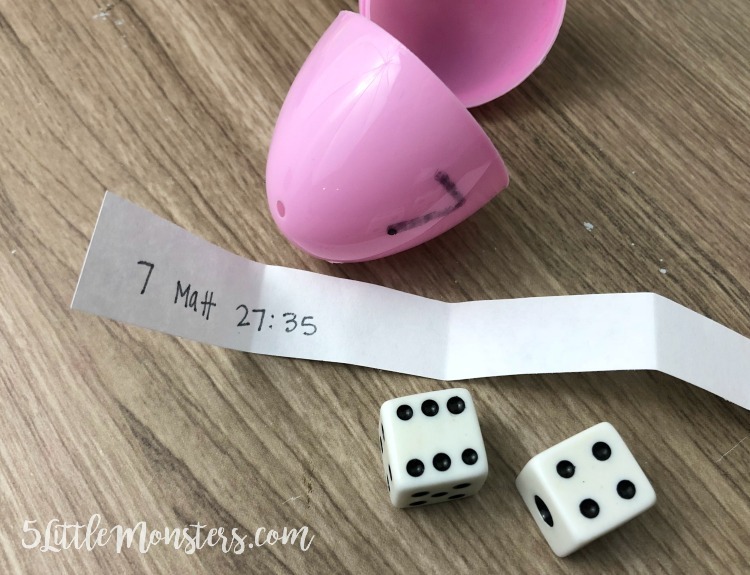 The pretty paper and vinyl numbers were not that important, they may look nicer but my kids would like the activity just as much with handwritten papers and Sharpie numbers. 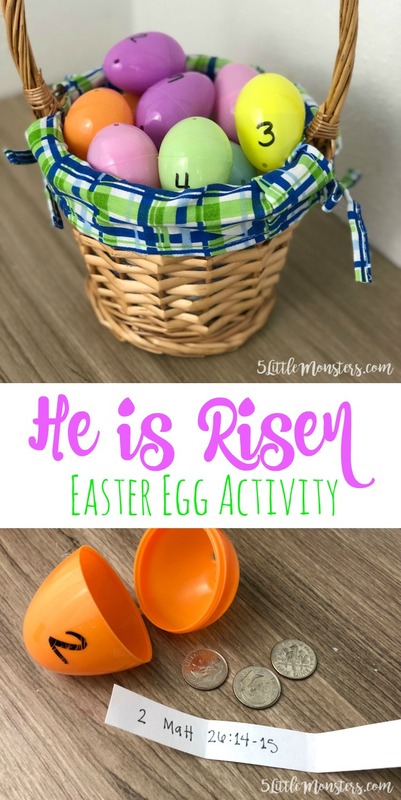 For this activity you need a dozen plastic easter eggs and a variety of small items to put inside. 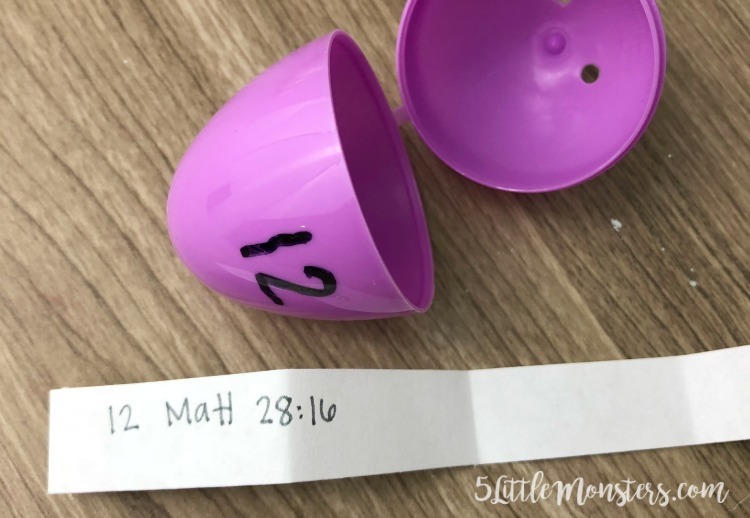 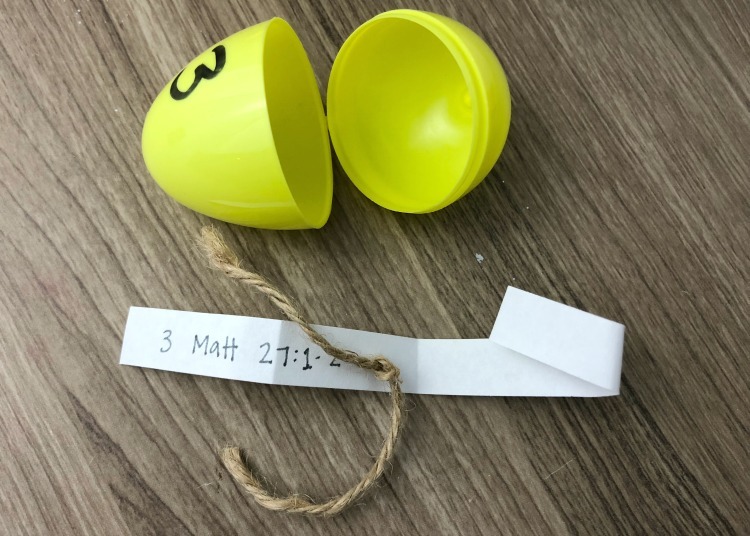 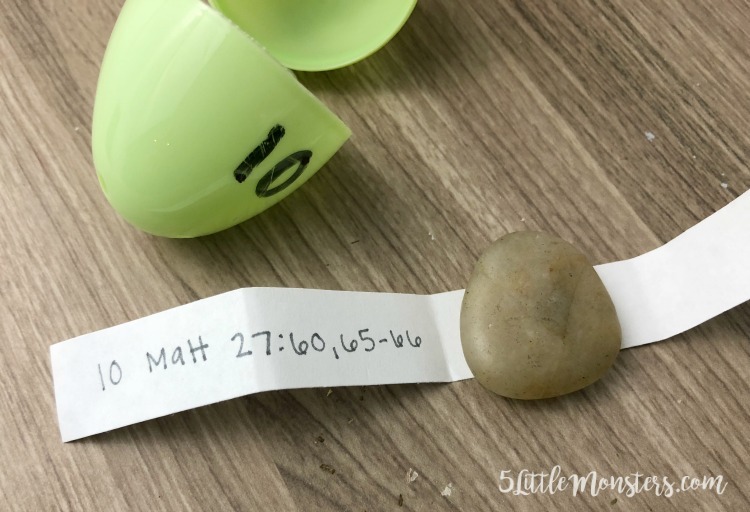 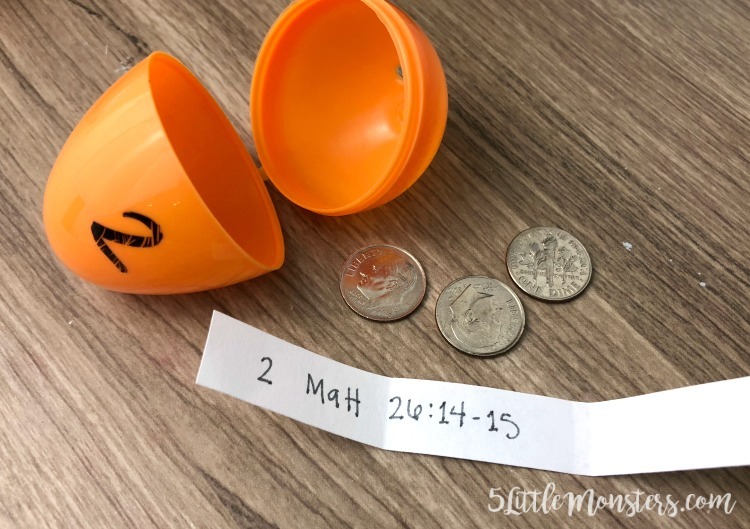 Each egg contains a strip of paper with a scripture from the New Testament that tells a part of the Easter story, mostly from Matthew, and an item that goes along with the scripture. 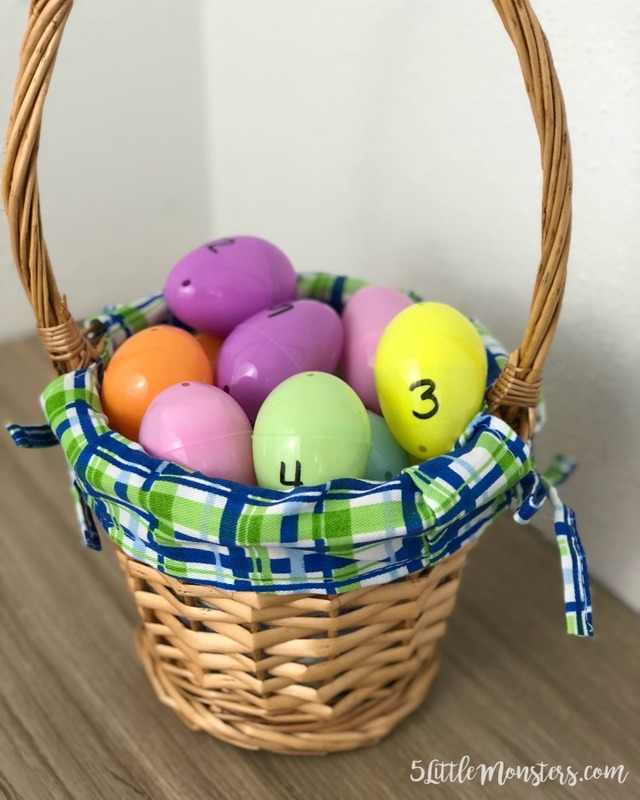 My mom always kept our set of eggs in an egg carton but I usually buy eggs in larger packages and didn't have a dozen carton so I just put mine in a small basket. 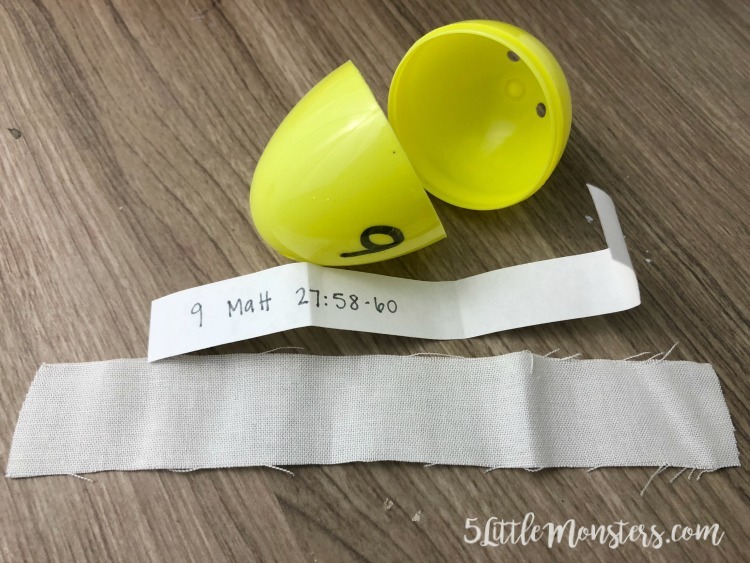 Print the list of scriptures and cut into strips. 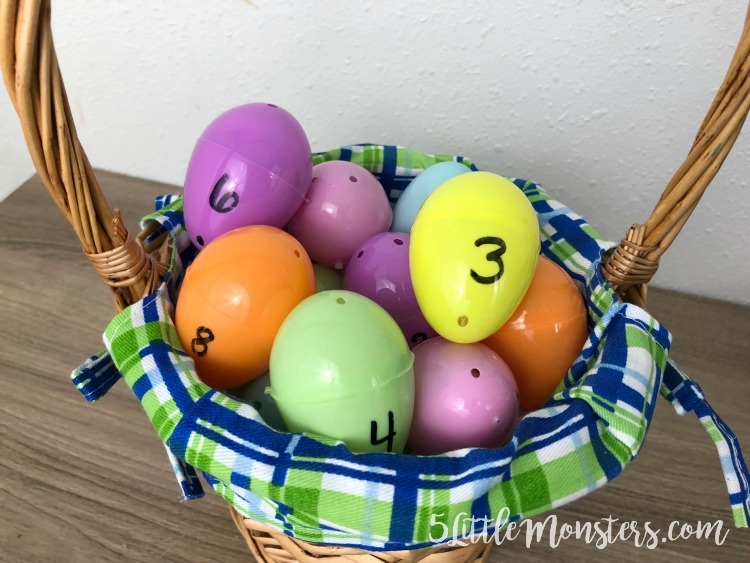 Write numbers 1-12 on the eggs. 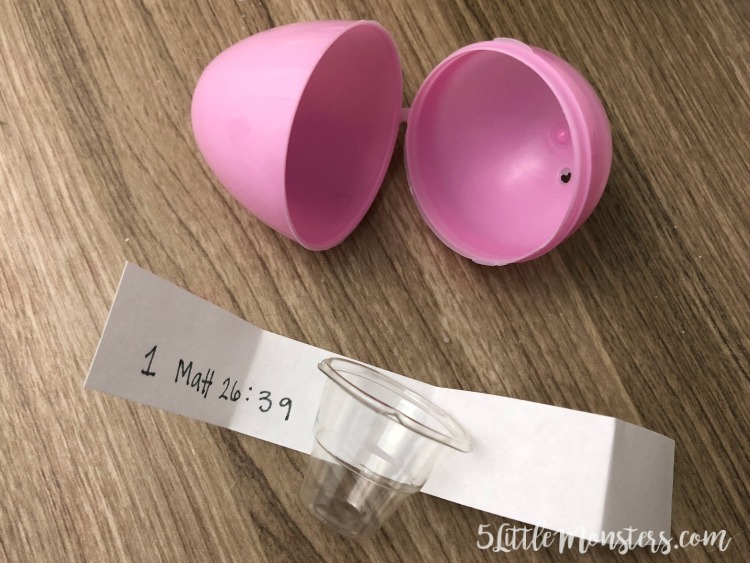 "if it be possible let this cup pass from me: nevertheless not as I will, but as thou wilt." 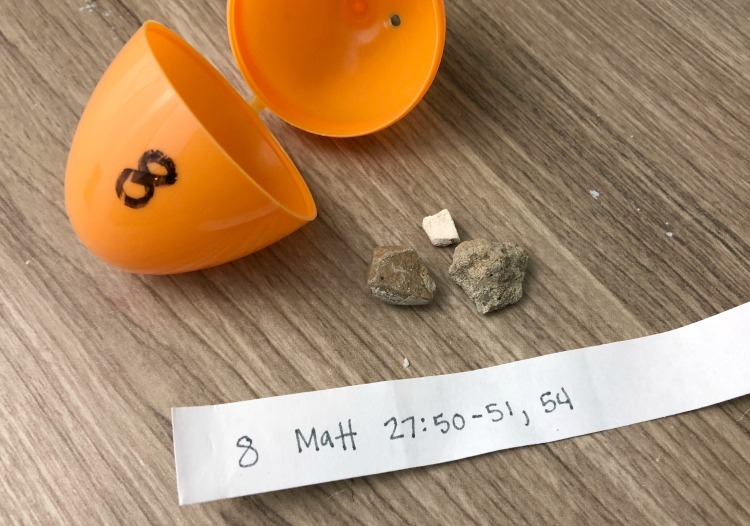 "And they covenanted with him for 30 pieces of silver"
"And when they had bound him, they led him away"
"...he took water, and washed his hands before the multitude"
"And they stripped him, and put on him a scarlet robe"
"and led him away to crucify him"
"And they crucified him, and parted his garments, casting lots"
"and the earth did quake, and the rocks rent"
"he wrapped it in a clean linen cloth"
"and he rolled a great stone to the door of the sepulchre"
"and bought sweet spices, that they might come and anoint him"
My kids really enjoy this activity and it is a great way to teach they real reason we celebrate Easter.